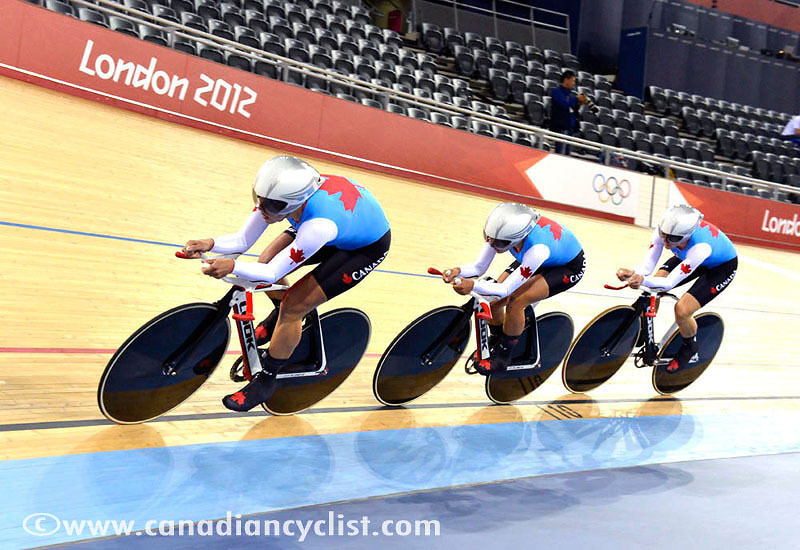 Canadian Cyclist has done a great job keeping us up-to-date with all the latest news about our favourite Olympic track cyclists in London. And while we're poaching news from our far-more-organized friends back East, you can find an updated race schedule and a couple more photos of Tara Whitten and Monique Sullivan looking particularly badass on their Looks here. For those of you in Victoria, BC this week, we will be watching the Women's Team Pursuit qualifiers live at Broad Street Cycles (1419 Broad Street, across from CTV) on Friday morning. If you are concerned about being late for work, Renny will be available to speak with your boss.